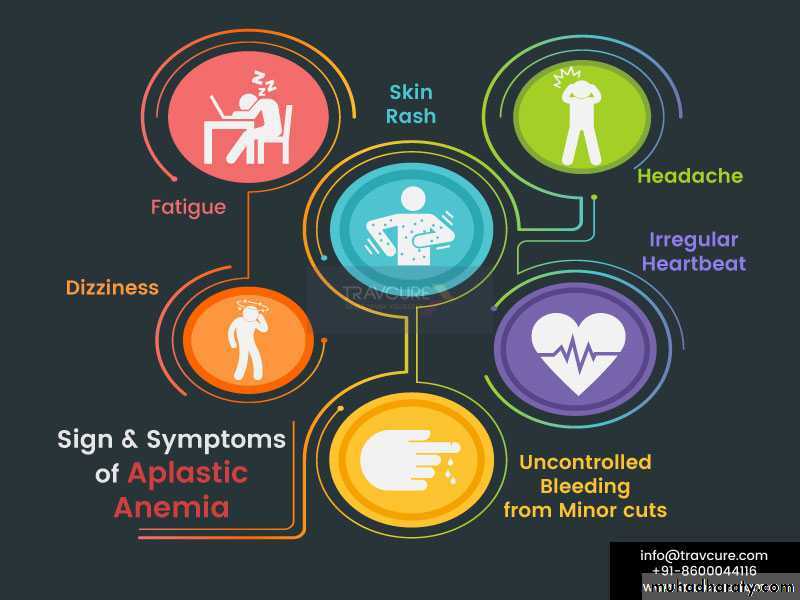 Aplastic anemia is a bone marrow failure syndrome characterized by peripheral pancytopenia and marrow hypoplasia. • Patients usually have dysmorphic features or physical stigmata. Occasionally, marrow failure may be the initial presenting feature. 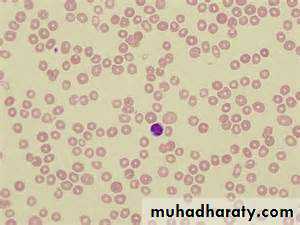 • 2-3 months usually between exposure and the development of aplastic anemia. Chemicals e.g., Benzene and pesticides, chloramphenicol, phenylbutazone, and gold. 5-10% of cases of AA in the West and 10-20% in the Far East. 2-3 months between exposure to the virus and the development of AA. Immune: SLE, RA (rheumatoid arthritis). 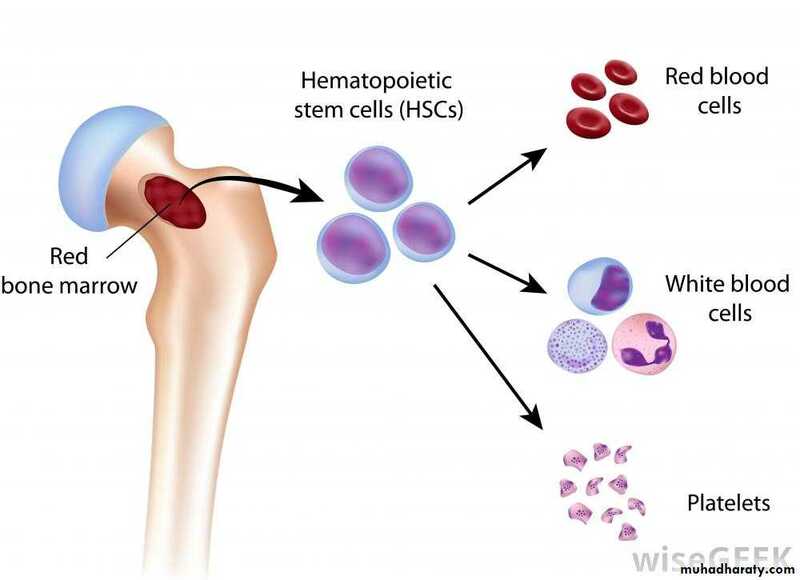 • Absent or defective stem cells (stem cell failure). • Inhibition by an abnormal clone of hemopoietic cells. • Abnormal regulatory cells or factors. • Immune mediated suppression of hematopoiesis. It is believed that genetic factors play a role. There is a higher incidence with HLA (II) histo comp. Antigen. Immune mechanism is involved. • dose related e.g. cytotoxic drugs, ionizing radiation. The timing, duration of aplasia and recovery depend on the dose. Recovery is usual except with whole body irradiation. • unpredictable to drugs e.g., anti-inflammatory antibiotics, anti-epileptic, these agents usually do not produce marrow failure in the majority of persons exposed to these agents. 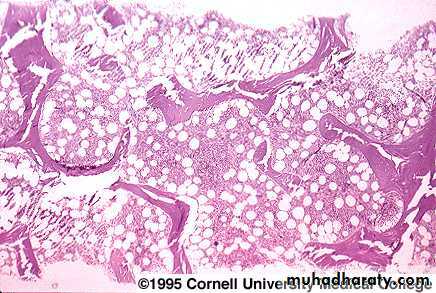 Aplasia due to any cause may recover after immunosuppressive therapy indicating that immune mechanisms are involved. 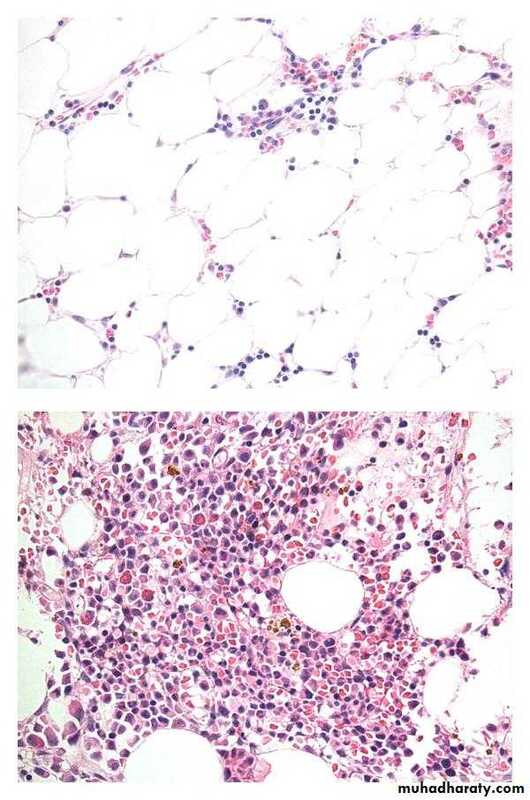 Transition to a clonal disorder of hemopoiesis can occur in any patient who has recovered bone marrow function, suggesting that fragility of the hemopoietic system is common to all forms of aplasia. anemia  pallor and/or signs of congestive heart failure, such as shortness of breath. 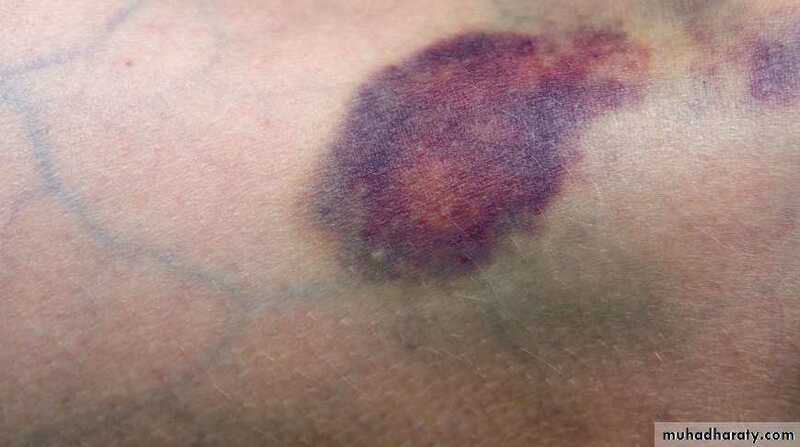 thrombocytopenia  bruising (eg, ecchymoses, petechiae) on the skin, gum bleeding, or nosebleeds. 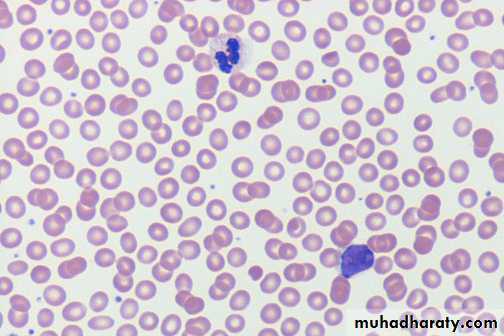 Anemia is common, and red cells appear morphologically normal. The reticulocyte count usually is less than 1%. 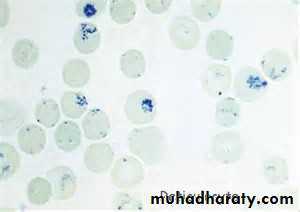 Thrombocytopenia, with a paucity of platelets in the blood smear. 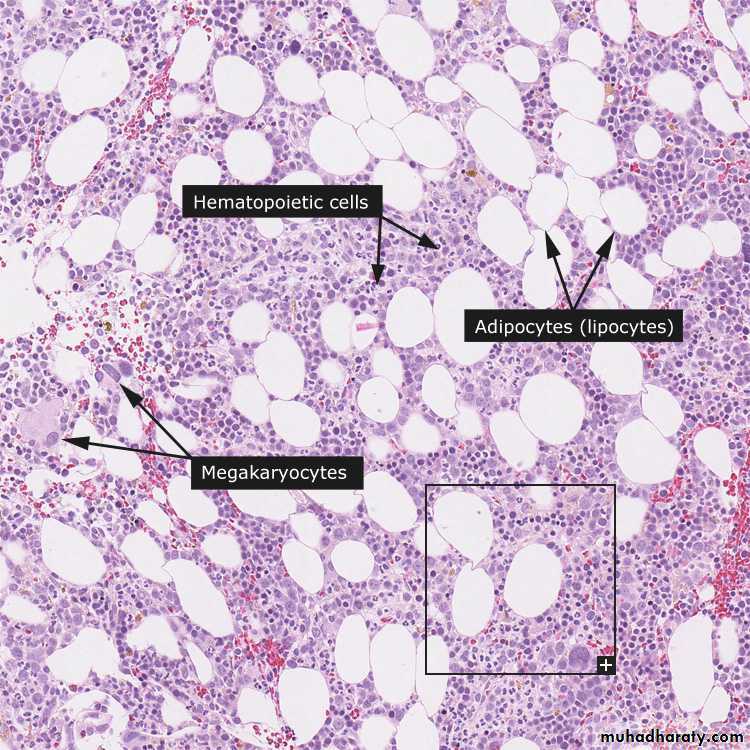 Agranulocytosis (ie, decrease in all granular white blood cells, including neutrophils, eosinophils, and basophils) and a decrease in monocytes are observed. 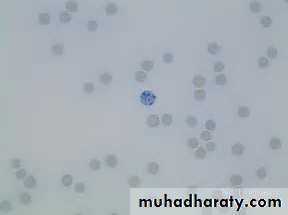 A relative lymphocytosis occurs. The degree of cytopenia is useful in assessing the severity of aplastic anemia. 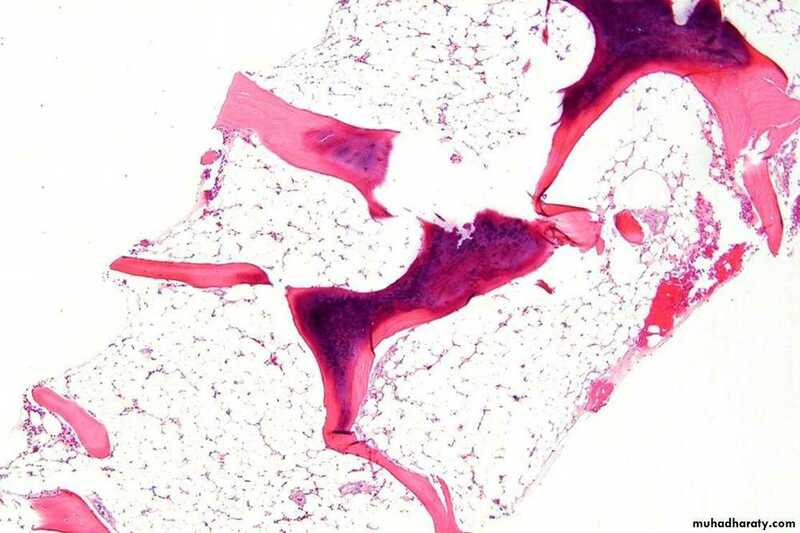 A bone marrow aspirate & biopsy is performed. Both of them are hypocellular. A core biopsy is the most important and provides a better idea of cellularity; the specimen is considered hypocellular if it is less than 30% cellular in individuals younger than 60 years or less than 20% in those older than 60 years. • - Prednisolone	- Antilymphocyte glob. • - Cyclosporin	- Anti T cells Abs.